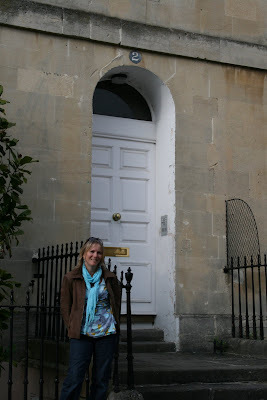 I had a wonderful trip down memory lane last week re - living my days at college in Bath. 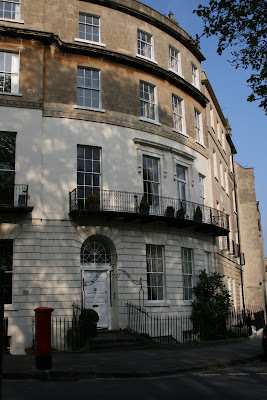 I studied for a B.ed in Fashion and Textiles at the then named Bath College of Higher Education based at Sion Hill in Bath. Going back brought back so many things. I really enjoyed the course and the chance to be creative in so many different ways. 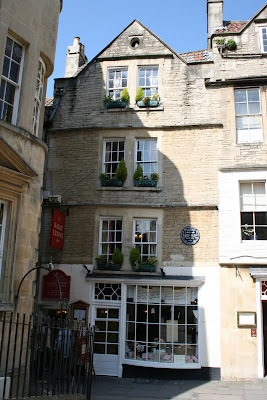 Just walking the streets of Bath again made my creative juices begin to stir again. 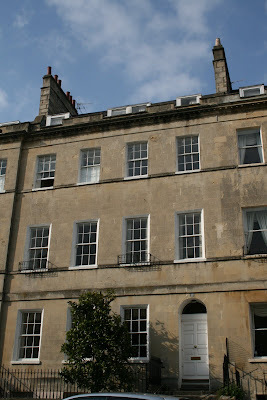 It is such a beautiful City and the weather last weekend was glorious, showing Bath off at its best! 2 Portland Place... this was home for 3 years. In the first year my room was right at the very top of this house - can you see the very small window at the top on the left hand side? .... that was my room, wonky floorboards and all! This is the post box where many many letters were sent home to family and friends... letters were what kept me going. Isn't it a shame that we don't send so many 'proper' letters anymore? 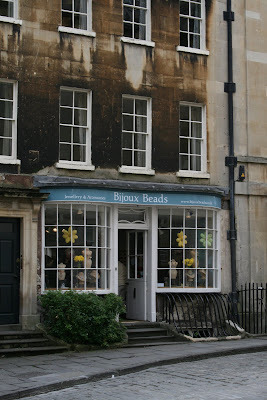 I love it when the post plops on the mat and there is a letter or card from a friend, it really brightens my day..
Of course, a trip to Bath isn't complete without a visit to sample a 'Sally Lunn' bun... with cream and jam of course! 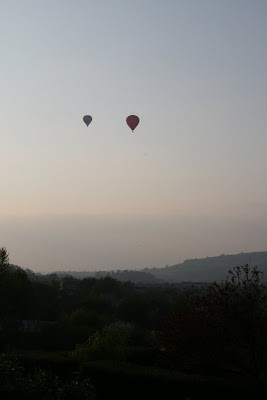 And finally, when the sun was setting two hot air balloons took off from Victoria Park.. a perfect end to a perfect day! 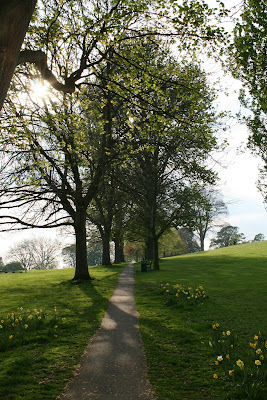 lovely to walk familiar pathways with you Yvonne, of course I have only ever visited Bath, never actually lived there but it does all seem very well known to me. Looks like you had a nice day back down memory lane, very nice pictures.